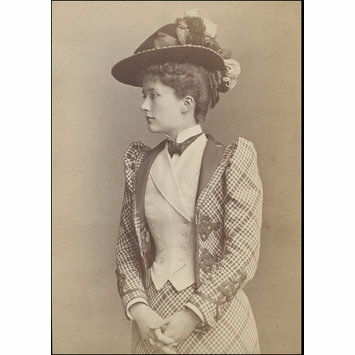 Photograph of Ethel Matthews as Charlotte Verrinder in The Magistrate at the Terry's Theatre. Sepia photograph of Ethel Matthews as Charlotte Verrinder in The Magistrate at the Terry's Theatre. 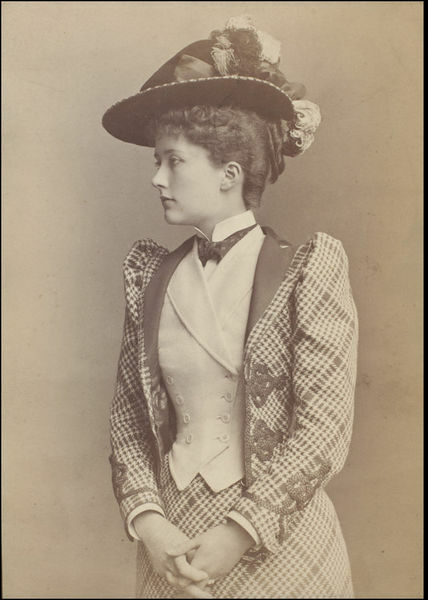 Photograph of Ethel Matthews as Charlotte Verrinder in The Magistrate at the Terry's Theatre in 1892, Guy Little Collection.